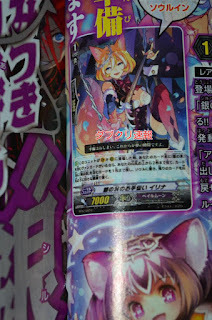 This month's issue of KeroKero Ace magazine went out overnight, unveiling many of the new units that will be coming out of VG-BT12: Binding Force of the Black Rings in two weeks. 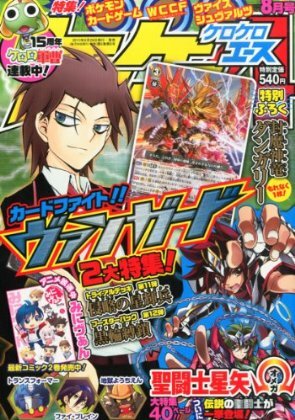 The issue's focus is towards the new Link Joker units of BT12, as well as the new Silver Thorn subgroup that will be supporting Luquier's Reverse crossride. 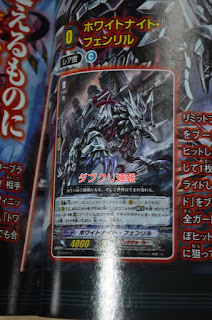 While many fighters have been concerned over Demon World Marquis Amon receiving a crossride in his new Demon God Marquis Amon Reverse form, despite the original Amon currently being out of print along with BT03 in Japan, and not being listed among the set's two reprints, Bushiroad has faced these concerns by revealing that they will be reprinting Amon as an Special Parallel-exclusive card in BT12. 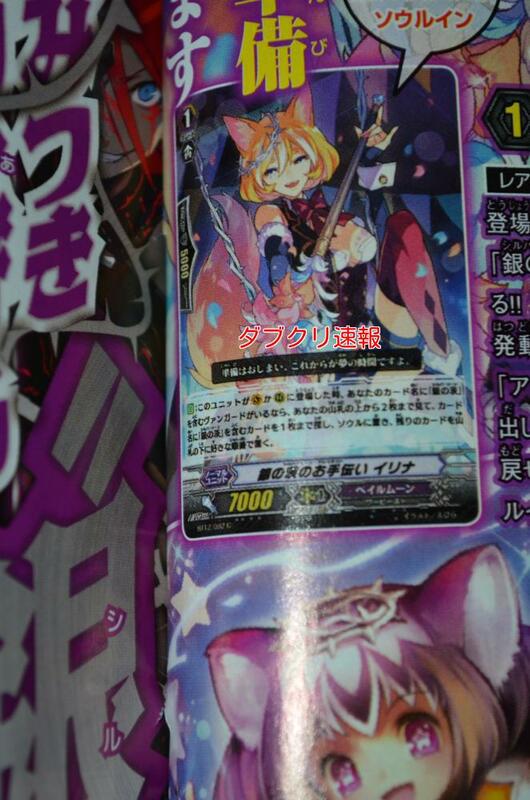 Continuous [V] LB4: During your turn, for each of your opponent's unit that has been Locked, all of your <<Link Joker>> frontrow units gain [Power] +3000. 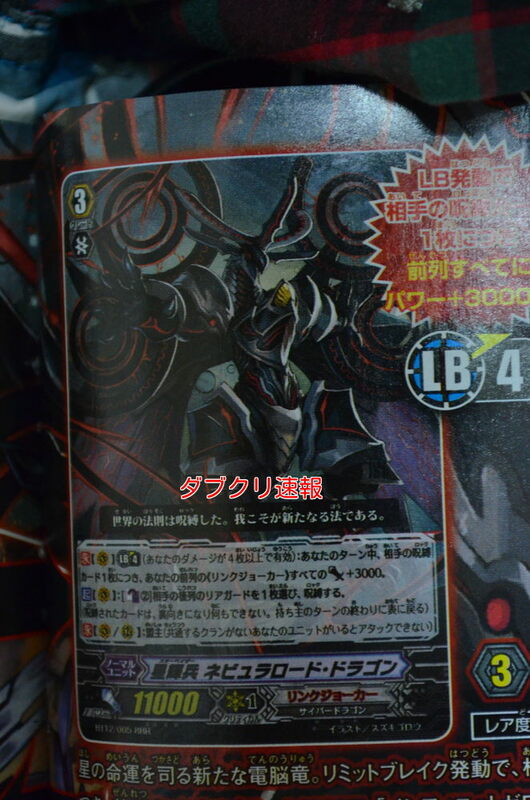 Activate [V]: [Counterblast (2)] Choose one of your opponent's backrow unit, and Lock it. 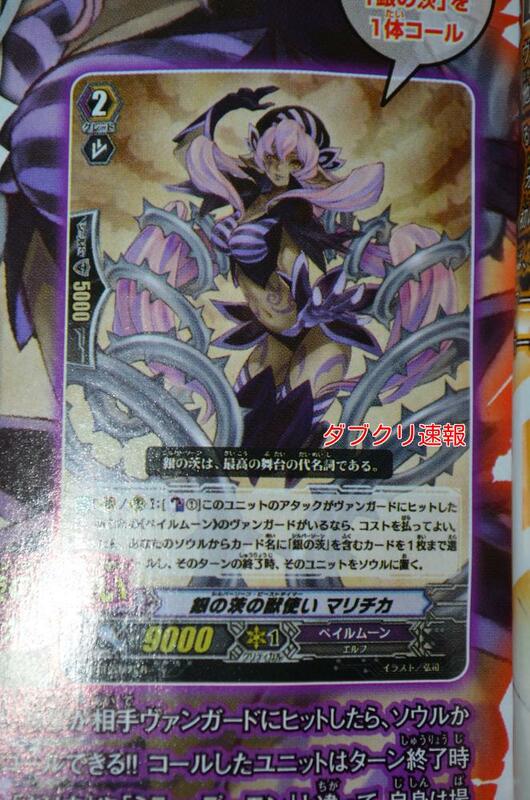 Auto [V]: [Counterblast (2)] When this unit hits the Vanguard, you may pay the cost. If you do, select one of your opponent's Rearguard unit, and Lock it. 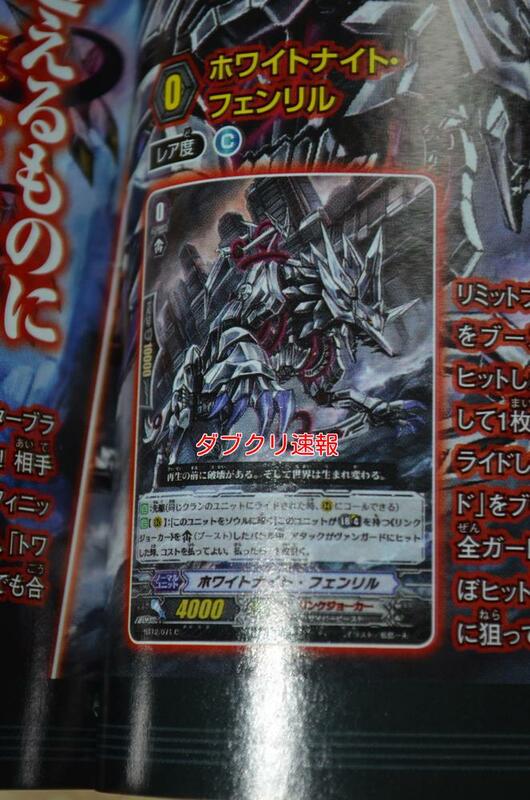 Auto [V]: When this unit attacks the Vanguard, during that battle, this unit gains +3000. 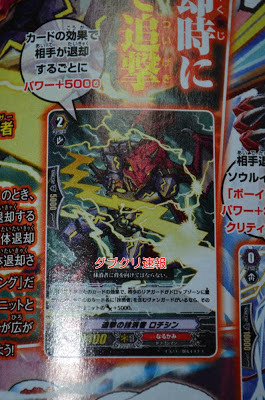 Auto [R]: [Soulblast (1)]When this unit boosts a "Star-vader, Nebula Lord Dragon", you may pay the cost. 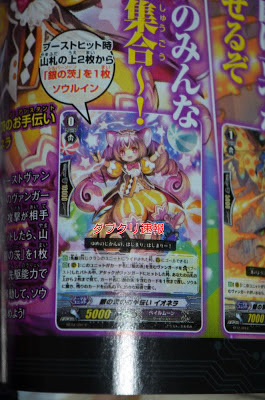 If you do, the boosted unit gains +5000 during that battle. 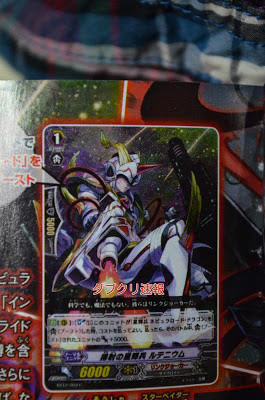 Auto [R]: When this unit's attack hits a vanguard, and you have a <<Link Joker>> vanguard, if your opponent has a Locked rearguard, choose one of your opponent's rearguards and Lock it. 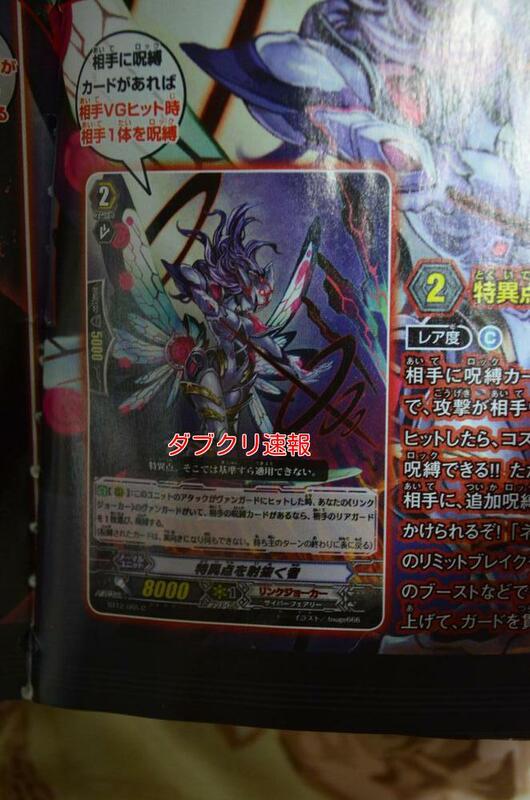 Auto [R]: When one of your opponent's rearguards is locked by one of your card effects, and you have a <<Link Joker>> vanguard, during this turn this unit gets [Power] +2000. Note: "niob" is German for niobium. 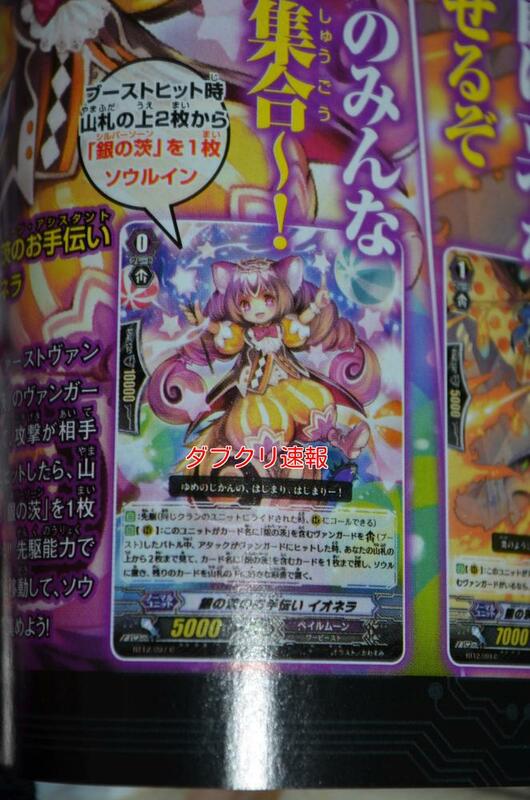 Note: "lanthan" is German for lanthanum. Auto [R]: [Place this unit into your soul] When this unit boosts a Link Joker with LB4, during this battle, if its attack hits the vanguard, you can pay the cost. if you do, draw 1 card. 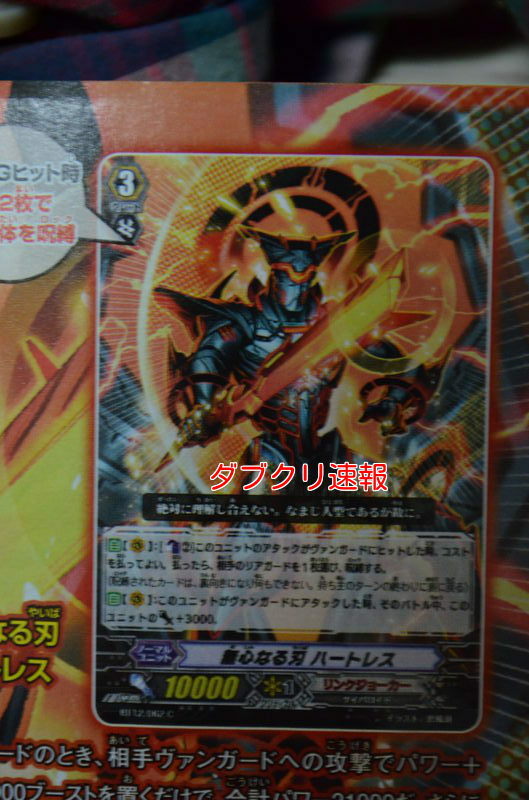 Auto [R]: [Place this unit into your soul] When your opponent's rear-guard is retired by one of your card effects, you may pay the cost. 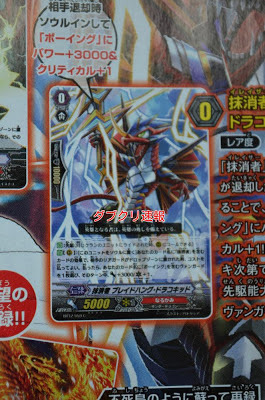 If you do, choose one of your vanguards with "Vowing" in its name, and that unit gets [Power] +3000/[Critical] +1 until end of turn. Auto [R]: When an opponent's rear guard is sent to drop zone, if you have a "Eradicator" Vanguard, this unit gains [Power] +5000 until the end of the turn. 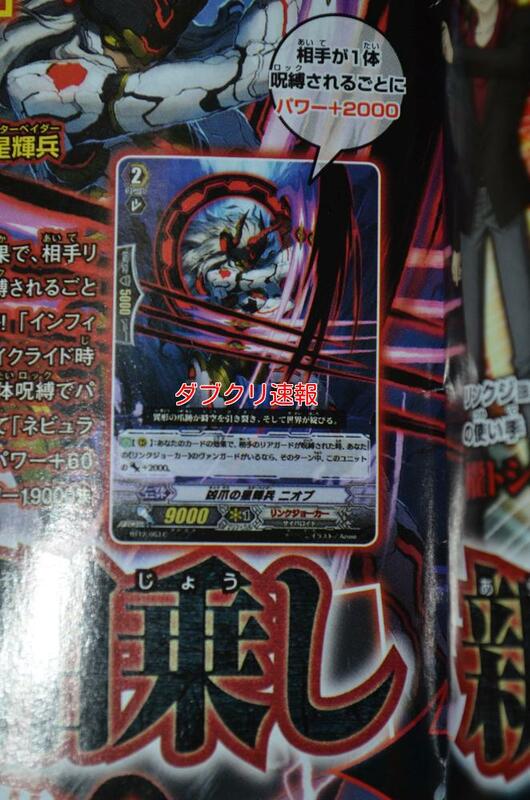 Auto [Rest this unit]: When this card is placed on [R] and you have a "Eradicator" Vanguard, you may pay the cost. If paid, select up to two of your opponent's rear guards, they cannot Intercept until the end of this turn. 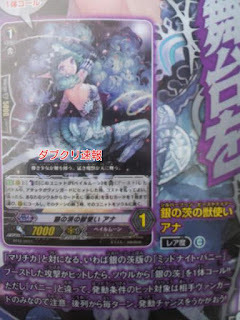 Auto [Counterblast (1)]: When this unit boosts a <<Pale Moon>> and the attack hits the Vanguard, you may pay the cost. 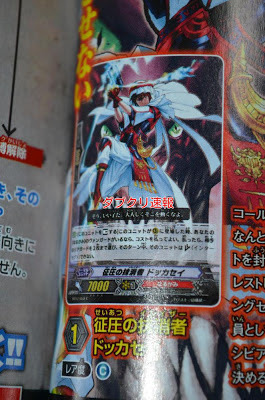 If paid, select 1 of your "Silver Thorn" units in your Soul, and call it to R. During the end of that turn, put the called unit back into Soul. 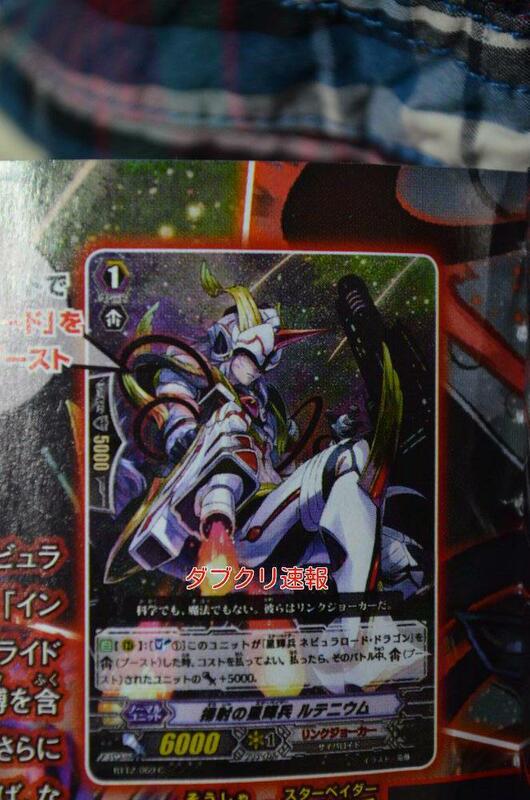 Auto [V/R]: [Counter Blast (1)] When this unit's attack hits a vanguard, if you have a <<Pale Moon>> vanguard, you can pay the cost. If you do, you can call up to 1 "Silver Thorn" unit from your soul to a rearguard circle. During the end phase of this turn, place that unit into the soul. 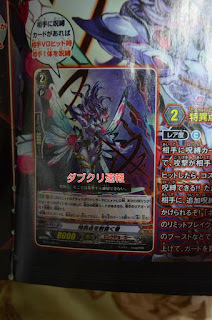 Auto [R]: During a battle in which this unit boosts a vanguard with "Silver Thorn" in its name, and the attack hits a vanguard, you may look at the top 2 cards of your deck, select up to 1 "Silver Thorn" unit from those cards, and put it into the soul. Put the remaining cards to the bottom of the deck. Auto: When this unit is placed on V or R, you may look at the top 2 cards of your deck, select up to 1 "Silver Thorn" unit from those cards, and put it into Soul. Put the remaining cards to the bottom of the deck.